Our company’s “FASTALERT” service provides breaking news bulletins for urgent information on accidents, natural disasters, and other incidents detected by AI to all six of the major television broadcast stations in Japan, including NHK, and the majority of the 100+ local broadcast stations. FASTALERT works with more companies than any other service that utilizes information gathered from social networking sites for news reporting in Japan. The version offered to ordinary consumers, an app called “NewsDigest,” is the biggest news bulletin app in Japan, boasting over 1 million downloads. It is gaining popularity because of its ability to use AI to automatically detect and deliver news bulletins on information worth reporting. Alongside FASTALERT, it is also gaining more widespread use by news reporters as a standardized service for information. The major technological areas where our company excels in the development of this kind of service are machine learning, deep learning, and natural language processing technology. Using these technologies, we aim to achieve qualitative improvements in journalism while simultaneously reducing costs through this “mechanization of the news”. 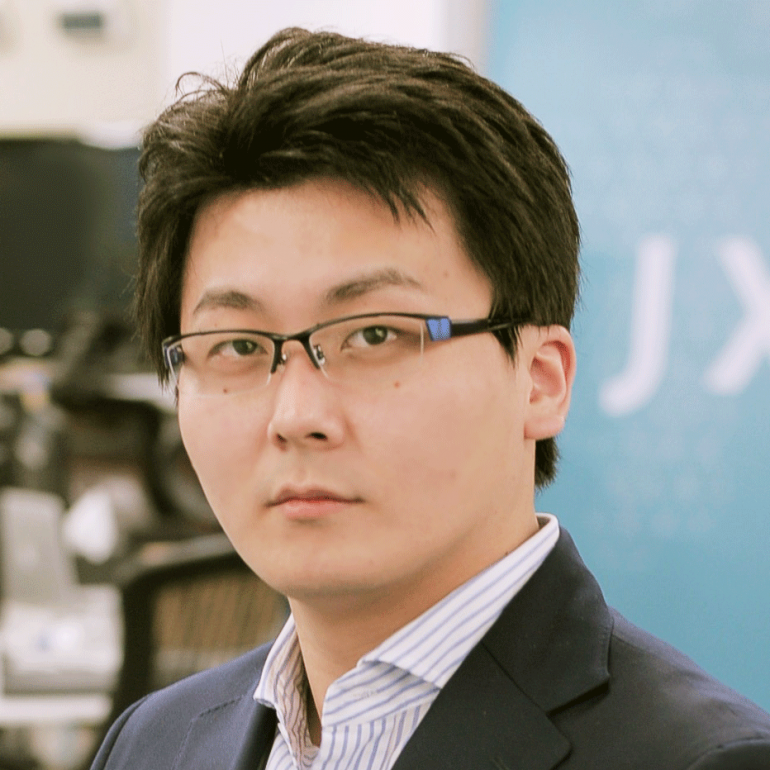 Stakeholders in the JX PRESS Corporation include KYODO NEWS, the leading news agency in Japan, two of the leading commercial broadcast stations (TV Asahi and Fuji TV), and the Quick Corp (Nikkei Group). We are a new kind of news agency that provides computerized news reporting to all of the major media groups in Japan. Why do we seek the “mechanization” of the news? The problem facing the news media, when stated in concrete terms, is that the dwell time of consumers on media such as newspapers and television, which make up the majority of the “news,” is being lost to other media sources. This reduces advertising and subscription revenue, which is proportional to dwell time (i.e., it is a problem of distribution channels and revenue). When revenues decline, media companies are no longer able to maintain the same spending, necessitating a reduction in the time, money, and labor invested into reporting, which in turn leads to a reduction in quality (i.e., a problem of cost structure). This decline in news quality then drives a decline in value added. As the value added drops, consumers increasingly transfer their dwell times to other media sources and become more restrained in their spending. This further accelerates the decline in advertising and subscription revenue (i.e., a problem of news quality and added value). As you can see, what appear at first to be three separate problems are closely intertwined. What can we draw from these conclusions? Currently, when the challenges facing the news media are discussed, especially when it comes to issues such as the decline of newspapers and traditional news media, the explanation that is often focused on most heavily is the quality of the news. This includes a reduction in the number of articles, the smaller scope of major scoops, the emergence of a less adversarial stance against political power… The list goes on and on. Some will even turn from a discussion of “reporting quality” to one that centers on the “quality” of those who consume the news. Typically, this involves treating the lack of engagement of young people with the news as though it reflected a dearth of intellect among young consumers. But will such lines of argument really lead to a solution to the problems facing the news media? I believe that a solution will only emerge through a process that involves correctly understanding the problem and breaking it down into its component parts through rational analysis. The problem of cost structure comes before that of news quality, and the problem of distribution channels and revenue precedes even that. News media companies that anticipated the revenue challenges at an early stage have attempted to break out of traditional distribution channels by moving into digital advertising and subscriptions, and are now in the process of overcoming these challenges to some extent. Any business model fundamentally needs to balance revenues against costs. Without addressing the cost-structure issue inherent in the labor-intensive model of traditional news media, which is dependent on a massive labor force, the survival of any new business model cannot be guaranteed. These are the ideas that underlie JX PRESS Corporation’s mission of developing technologies to support our core vision of advancing both business and journalism simultaneously. Today, the fact that our AI-based emergency information service FASTALERT has been adopted by most television stations nationwide and is employed daily to run breaking accident/disaster news is testament to the progress we have made toward this vision. I doubt that AI has ever previously been involved in news coverage to this extent. Likewise, the over 1 million downloads so far of NewsDigest, our breaking news app for the general public, and its ongoing evolution from being regarded simply as a must-have app for newspaper and TV reporters to being essentially synonymous with breaking news apps themselves, also speaks to the achievement of our vision from a different angle. This is because we can now point to this example as a successful precedent to argue that mass human labor is not necessary in order to rapidly deliver straight news to a large consumer base. Of the aforementioned three core problems facing the news media, JX PRESS Corporation has placed an especially strong focus on the problem of cost structure. Put simply, we are seeking to achieve the “mechanization” of the news. Human labor should be focused on things that only humans can do, and should be dedicated to the creation of added value. There is no need for people to replicate the work that machines can accomplish on their own. It is up to our company JX PRESS Corporation to create the “machinery” that will provide an alternative to human labor and to demonstrate a new type of news media company that doesn’t depend on a massive workforce.